Vandalia, the second capital of Illinois, is steeped in history. 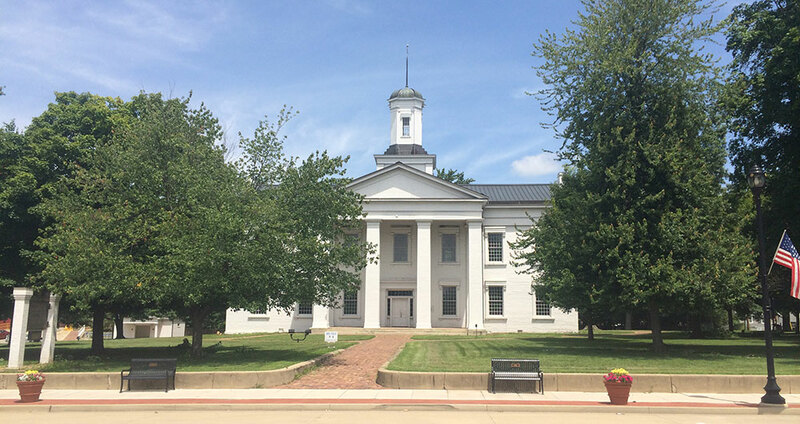 Built in 1836, it is the oldest Illinois State Capitol building. The Federal-style white building which served as the Illinois State Capitol from 1836-1839 is impressive with its high ceilings, tall windows and vintage furnishings. At the top of the broad, curving staircase are the Senate and House of Representatives chambers, where Abraham Lincoln began his historical political career for the grand sum of $4 a day. Today, the Statehouse draws more than 30,000 annual visitors. Visitors may take guided tours or they may walk through the building at their own leisure. Exhibits include display boards that have copies of documents from Illinois' early days and Lincoln's tenure as a state representative in Vandalia. Visitors will walk on the same wooden floors where the future President once walked. The Vandalia Statehouse also holds two major events each year. Father's Day Weekend in June, The Grand Levee Festival is held on the Old State Capitol grounds. The two day celebration is a recreation of the social life of Vandalia during its tenure as the Illinois State Capital. On a Saturday in early December, an open house at Oldest Capitol invites all to visit a building wearing its 1830's Christmas finery. Contact the Capitol office for exact dates and times of all events.